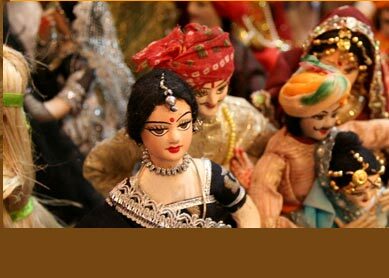 Highlights : Enjoy world class standard of Rajasthani royal hospitality. Visit numerous of world famous historical monuments like Taj Mahal, Qutab Minar, Humayun Tomb, City Palace, Umaid Bhawan Palace to name a few. The 12 days of Forts Palaces Tour open a wide gate for tourists willing to discover some of the hot cultural spots of country. Forts and palaces of Rajasthan add golden feather to its widely known historical and cultural significance. Acting as the biggest tourist attraction of the state, forts and palaces of Rajasthan appeal tourists from all over the globe to explore it. Full of recreational activities, the tour takes tourists to visit popular forts and palaces of Delhi, Jaipur, Agra, Bikaner, Jaisalmer, Jodhpur, Bikaner and Udaipur. Day 1: Arrive Delhi. Upon your arrival at airport in the evening, our representative will be there to welcome you. Drive to the hotel, which we have booked in advance. Overnight stay at hotel. Day 2: Delhi. Full day sightseeing of Delhi. Visit to its popular historical monuments like Qutab Minar, Red Fort, Jama Masjid, Lotus Temple, Humayun Tomb and Raj Ghat. Overnight stay at hotel. Day 3: Delhi-Agra. Drive today in the morning to Agra. En route, visit to two popular spots, Mathura and Sikandara. After reaching Agra, check into hotel, and stay overnight there. Day 4: Agra-Jaipur. Enjoy sunrise visit of Taj Mahal. Later, prepare for drive to Jaipur. En route, visit the historical town of Fatehpur Sikri. By evening, reach Jaipur, and rest at hotel. Day 5: Jaipur. The full day sightseeing of The Pink City let you visit its many of popular spots like City Palace, Amer Fort, Nahargarh Fort, Jantar Mantar and Birla Temple. Day 6: Jaipur-Bikaner. After overnight stay at hotel (Jaipur), drive today to Bikaner. Rest at hotel after reaching Bikaner in evening. Day 7: Bikaner-Jaisalmer. Take morning visit to popular attractions of Bikaner like Lalgarh Palace, Bikaner Fort and Rat Temple. Afternoon, drive further to reach Jaisalmer. While on way, you can visit to Pokharan Fort. Arrive Jaisalmer in evening. Stay overnight at hotel. Day 8: Jaisalmer. Explore Jaisalmer  The Golden City for the whole day. Sightseeing places include Gadsisar Lake, Manak Chowk and Haveli, Jaisalmer Fort, Tazia Tower, Jain Temples and many of famous havelis. Day 9: Jaisalmer-Jodhpur. After breakfast, take a long drive to reach Jodhpur  The Sun City Of India. Spend evening in leisure at hotel. Day 10: Jodhpur-Udaipur. 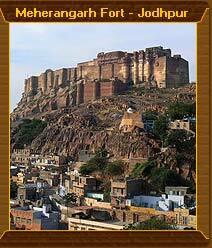 Start exploring the historical city of Jodhpur from morning. Famous places to see here are Umaid Bhawan Palace, Jaswant Thada and Jodhpur Fort. Afternoon, drive to Udaipur. Stay at hotel overnight. Day 11: Udaipur-Delhi. The best attraction of this day is boat ride at famous Pichola Lake, which you enjoy in the morning. Later, you will visit to some of the famous spots of Udaipur like City Palace, Jagdish Temple and Garden Of Maids Of Honour. In the evening, you will be transfered to the airport to catch your flight for Delhi. After reaching Delhi, you will stay overnight at hotel. Day 12: Delhi. After breakfast, you will have enough time to take a small shopping excursion at famous shopping centres of Cannaught Place. In the evening, you will be transfered to international airport to catch your flight. The wonderful discovery of cultural heritage of Rajasthan, which is said to be a perfect place to enjoy Indian cultural sightseeing, form a great tourist delight. A number of activities awaits you to let you indulge into, and enjoy deeper cultural exploration of Rajasthan and other locations like Delhi and Agra. Camel safari ride at Jaisalmer, elephant ride at Jaipur while ascending to Amer Fort, and shopping at colourful bazaars of Jaipur and Delhis famous Cannaught Palace are some recreation consisting great fun for tourists. 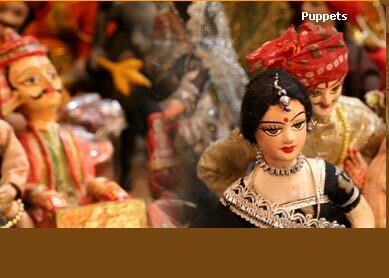 Besides, staying at many of popular heritage hotels of Rajasthan is another wonder in itself. Enjoying the Rajasthani royal hospitality and world class standard at these hotels are worth garnishing ones vacationing experience.